The downside for gold now is minimal, but the upside is well into the 2000s. I don’t know how we all missed it yesterday, but I started the newsletter off with the following statement: “A week ago I wrote that when gold had a weekly close above $1,650, then the odds favored the correction in gold was over. Gold finished the week at $1,654!” You would think I would catch such an OBVIOUS error, but no – I missed it, and so did our editor. No, gold was NOT $1,650, it was $1,750, but what’s a mere $100 amongst friends? My apologies. In Today’s daily, Ranting Andy presents not one, but two excellent essays. His second essay, HOW AMERICA DESTROYED THE WORLD IN A DECADE, in my opinion is the finest he has penned to date. This is a must read. By the time you finish the piece, you should be shaking your head in disgust. 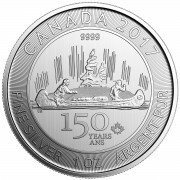 Gold and silver: It’s much the same here. Gold would require a close above the $1,830 level to negate all the sell signals my system has generated, while silver would require a close over $38.88. Due to a variety of reasons and other indicators, I don’t expect that to happen. I disagree with Larry’s analysis! You can make up your own mind, but at the rate gold is rising now, his $1,830 level will be breached in short order. He has kept his readers OUT of gold and silver since last spring, and at a great cost to them. The physical demand is simply too great for the price to fall back significantly from here. The (manipulated) paper market cannot hold the bull down any longer. The “Dean” of the newsletter writers, Richard Russell points out that the 200-day moving average, now standing at $1,706 and rising, has held up since 2008. The downside in gold is less than $100 and the upside is as high as you care to imagine. Our mentor, Jim Sinclair says buckle up now, gold is violently heading into the $2000’s. Who should you believe – Edelson or Russell and Sinclair? 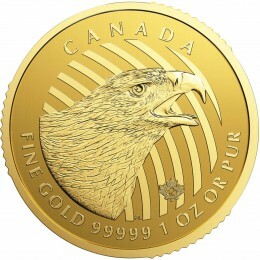 I placed a sizeable gold order for myself today with spot at $1,779. Gold was UP 2.37%! The Cartel puts up a roadblock at 2% so this is a very unusual occurrence. The mining shares powered up nearly 3%, outperforming the physical. This has not happened often in the last three years. It appears, at least for a day, that the “big” money is shifting back into the “gold-for-safety” mode, be it via the ETFs or the mining shares. 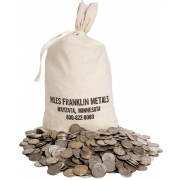 Our business at Miles Franklin is strong, so there is a meaningful retail off-take as well. Andy Hoffman, Bob Chapman and Bill Holter all discuss the brewing crisis in Europe in today’s newsletter. Their problems are much worse than ours, primarily because we have the world’s “reserve” currency, and we can (and do) print our way out of our deficits. But we are running out of time and the game is almost up. It will end with the destruction of the US dollar and the reserve currency privilege that is attached to it now. Germany’s Economy Minister Philipp Roesler said “German gold reserves must remain untouchable,”. Roesler – the head of the Free Democrats, a partner of Chancellor Angela Merkel’s coalition – squashed calls from France, the U.K., and the U.S. for Germany to use gold reserves as collateral for the bailout. He also negated calls from the G20 – the gathering of finance ministers from 20 of the world’s leading economies – for Germany to post its gold as collateral. “Germany’s gold and foreign exchange reserves, administered by the Bundesbank, were not at any point up for discussion at the G20 summit in Cannes,” he said. Think about it – the strongest economic power in Europe is willing to print euros to save the EU, even if it debases their currency, but they are unwilling to sacrifice a single ounce of gold. Yes, gold IS that important! Hong Kong imports (generally a good proxy for overall Chinese demand since Beijing doesn’t publicly disclose its import numbers) was a record 56.9 tonnes in September. HK generally imports around 10tonnes / month – a 6-fold increase; V. bullish data. They capitalized on Septembers drop (recall Gold hit record high > $1920 before plummeting to $1534 the end of Sept). This was their strongest buying month to date, yet Gold posted its 2nd worst performance this decade (Sept 2011 losses were > 11%; Oct ’08 was > -16% ) — it begs the question who (funds, CBanks,algos?) was the large seller?? A late note from our friend, Bill Holter – it is very important! Gold is trading completely differently today than any other day that I can remember for the last 13 years! We are now cracking above the “mandatory” 2% cap that nearly never gets broken. The big difference is “how” this is happening. No big fanfare, no big explosion or leg up, no, Gold is like a tractor in 1st gear pushing it’s way through offers on a steady basis. THIS is completely different from the 2% run-ups by 9:00 AM, never to better that price for the day. Also, the shares are closer on a percentage basis (not by much) to their old highs than Gold. They surely should be as they are so undervalued but it is very encouraging to see the shares finally waking up! We are where we are AND not overbought by any stretch of the imagination so I believe the new highs to come shortly could be smartly above the old ones. Remember how virtually all “experts” speculated that the drop in the price of gold would set off a liquidation cascade in China, where everyone was “loaded to the gills” and at the first hint of deflation would dump all holdings (not to mention that economic Ph.D. proclaimed the gold “bubble” popped two months and $200 lower)? It seems that as so often happens when all experts agree on something, it is precisely the opposite that happens. The FT reports that “Chinese gold imports from Hong Kong, a proxy for the country’s overall overseas buying, leapt to a record high in September, when monthly purchases matched almost half that for the whole of 2010….After hitting a nominal all-time high of $1,920.30 a troy ounce in early September, the yellow metal fell to a three-month low of $1,534 an ounce later in the month. Chinese investors snapped up the metal as prices fell.” Fair enough: this means the natural bid under gold will pretty much always be there, especially since the SHCOMP plunged at the same time, and if there was truly cross asset liquidation, imports would hardly rise. Which begs the question: if not China, then who sold? Was the move purely a function of fears that Paulson was liquidating? Or were rumors that various central banks are liquidating gold, actually true? We will likely find out when the next WGC report is filed. WE will also know that the Chinese number for total gold holdings is grossly underreported. A few words of wisdom from Richard Russell (recuperating from a broken hip). The market remains an enigma with the Dow moving over a hundred points in either direction on any news or rumor . As I see it the future will be slow growth and an eventual resolution of the bear market. The goal is no longer how to make money or create an income, but how to avoid losses. 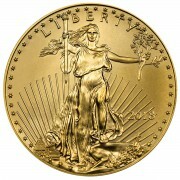 For that I prefer gold and the Permanent Portfolio Fund (PRPFX). In a primary bear market the winner is he who loses the least.